Home….the idea of “home” means different things to each of us. When we think of home, we may remember childhood friends and special events, such as birthday parties or holiday dinners. Others may think of sights, sounds, feelings, and even smells like the wood burning in the fireplace on a cold winter’s night. Many of us will immediately remember what our childhood home, or our own bedroom, looked like, and this image is forever etched in our memories. Whatever images of “home” you may have, it’s clear that we all have a basic desire to “be” home, “go” home, “stay” home, and this need is what drives us to want to create the perfect place that we can truly call “home”. 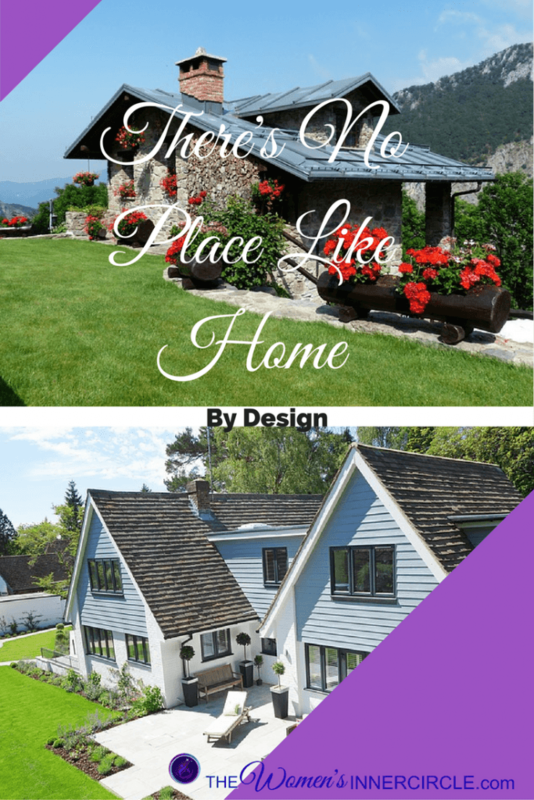 Designing our homes means many things….creating comfort, expressing ours and our family’s personality, showcasing our treasures from trips and events over the years, showing our style and color preferences, and designing a personal retreat free from the stresses of the outside world. So, the question then is how do we go about creating this place called “home”? Here is a simple exercise that can make the process of designing “home” easy and much less intimidating, as it can be for many of us. First, close your eyes and envision a room, any room…a bedroom, a living room, your kitchen, even an outdoor terrace… but without any color, fabrics, or furniture in it. Just picture an empty room. Now, let’s start with color and paint your room the color that comes immediately to your mind. If you think about this too much, you will surely get confused and start changing your mind, so just go with the first color that pops into your head. Secondly, look out the windows of the room that is now coming to life in your mind. What do you see outside the window? What do you see around the windows that frame the view you are looking at? Next, and still keeping this an easy exercise, place some type of fabric around the window, so the window now is no longer just a hole in the wall. Then add some furniture inside your room. Don’t worry about the details yet. Just complete the room with furniture you like…the style and color that immediately comes to mind, which is usually the style that you feel most comfortable with. Finally, put an imaginary frame around this picture you just created and take a mental snapshot of it. You have now completed the first step in designing your perfect home. When you open your eyes, try to remember this room and so you can start to make this imaginary room become a real one. You will follow the exact same steps, only now you will be actually doing it. If you remember, the first step that we took was to paint the room. Color selection is often a scary process, so start slowly and you will wind up with just the right color you were thinking of. In selecting color, we need to think about the mood of the room, the feelings we have to the color, and the way we want to use the color. You don’t have to paint your entire room the same color, so keep that it mind. If it’s a strong color and you love it, start with one wall. You can always keep going. If you aren’t sure about the depth of the color, start with a lighter shade first. Always do a sample on the wall you want to paint to see how you like it and the way the color changes to the light at different times of the day. Now, head off to your local fabric store and start collecting fabrics that strike you. (By the way, you can always collect fabrics first and then find a paint color you love that’s in your fabric. Either way can work). You might prefer solid colored fabrics, large geometrics, florals, or abstract designs. Gather as many as you can, with different weights and textures, since some may be good for upholstery and others for window treatments and decorative pillows. As the final step in getting started in your room design, make some furniture selections, either from online catalogues or actual stores. Again, explore first and focus on the pieces that make you feel good. You will know them when you see them. You may even think that you like traditional furniture best, but a modern piece may catch your eye. If that happens and surprises you, it can always be added in as an accent piece. And always, you are entitled to change your preference and go in another direction. Just repeat the mental exercise we started with and redesign the room with your new preferences. You might find it’s a better fit, after all. This is what happens when Grandmas Have Had Enough. Want to be in the know?